Position your body alignment (shoulders, hips and feet) slightly to the left of your intended target. Open the clubface and then take your normal grip. The club will follow the line of the body, creating a feeling of an out to in swing path. As you make your backswing, hinge your wrists so that you create a steep angle of attack. In the downswing make sure you hit an inch behind the ball and let the bounce of the club glide through the sand and that will enable the club to lift the ball into the air. 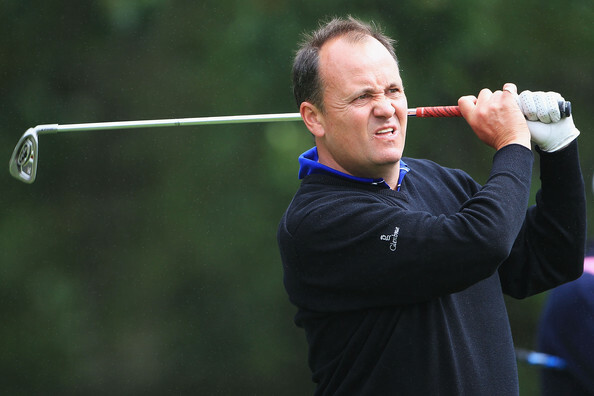 Jeremy Nicholls joined Ledene Golf Centre in 2004 and is a fully qualified class AA PGA professional. Jeremy is a highly respected and experienced coach having taught extensively throughout the West Midlands. Jeremy uses a modern and flexible strategy suitable for all golfers of all abilities. Last balls 30 minutes before closing. Site created by www.promofix.com All content and images are Copyright of Ledene Golf Centre.